This time, I’m knitting it. Categories: Handmade | Tags: afghan, knitting | Permalink. Remember the Cherry Cola crocheted afghan? I’d planned to make it a large afghan that I could use as a blanket when I watched TV on the couch. The problem was that, the more I added crocheted rows to it, the more the afghan became bulky and unwieldy. When I pulled it over myself for a test run on the couch, it stretched and was too hole-y for my taste. It just wouldn’t do as a crocheted afghan. So I did what a lot of other people won’t do: I accepted the fact that I’d hit a dead end with this project. For all the hours I put into crocheting it, I knew I wouldn’t use this afghan. 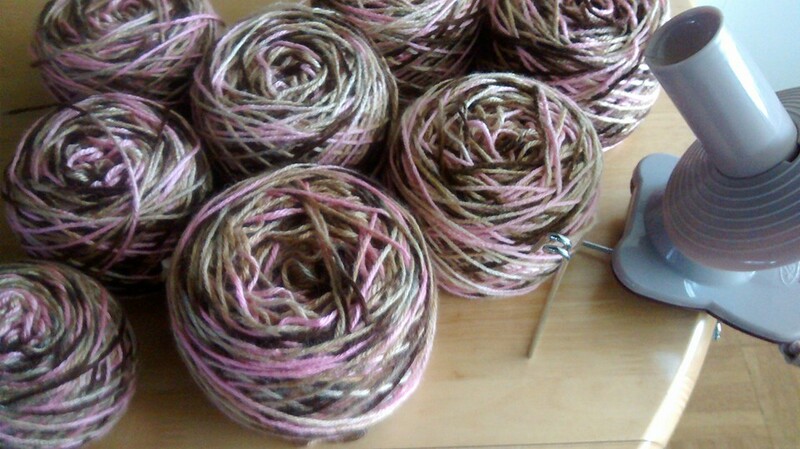 I didn’t want to waste the yarn, so I spent the afternoon frogging it. Categories: Handmade | Tags: afghan, crochet, yarn stash | Permalink. It’s been a long day. Sean and I left Ventura around 2 PM to head down to Carson for the L.A Galaxy game against FC Dallas. We got home a few minutes ago, around 10:30 PM. The game was sold out, and it turned out to be a very exciting match between L.A. and Dallas. But now I’m exhausted, and I didn’t even do any of the driving. I’m so glad I don’t have to go to work tomorrow. 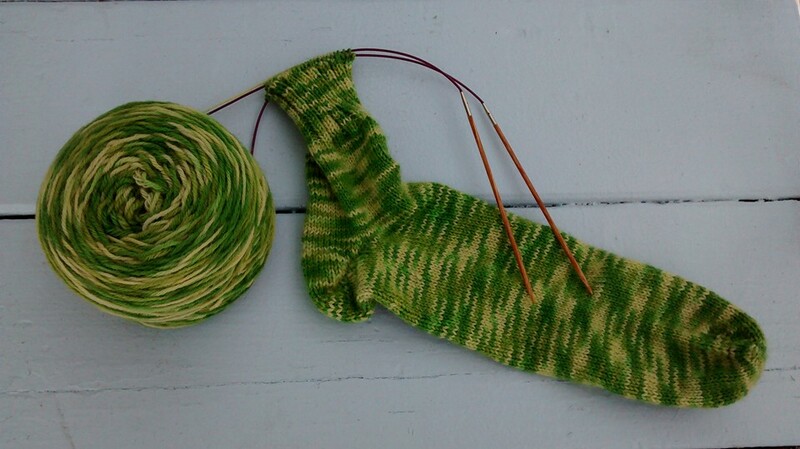 In knitting news, I made a little more progress on the second Green Print sock. 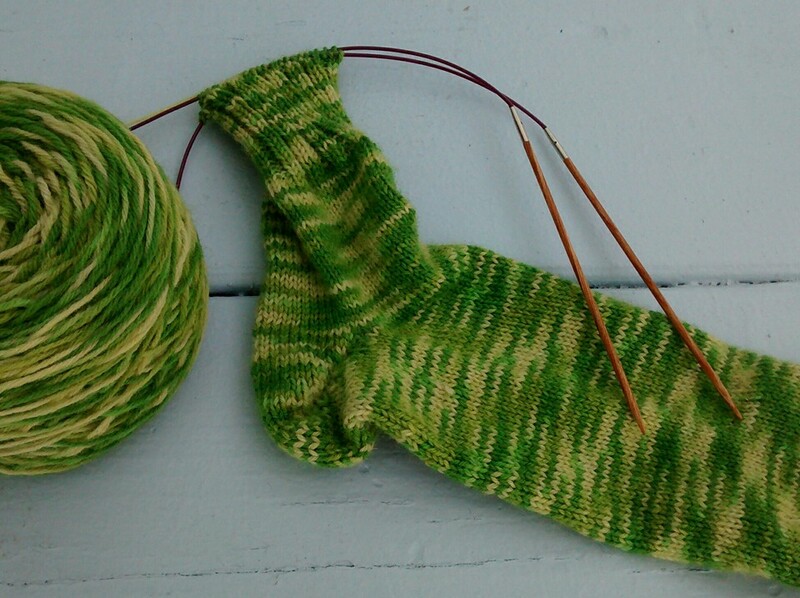 Categories: Adventures with Sean, Handmade | Tags: knitting, socks | Permalink. 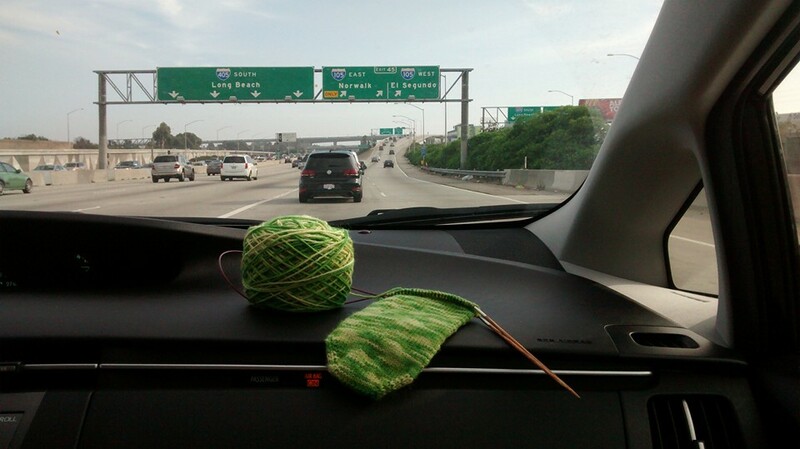 This morning I got up early to drive back to the Ventura homestead, and I thought I’d packed everything I needed: my purse, my laptop, my knitting. That would have been enough, except that it was too hot to knit this afternoon and I decided that I felt like coloring, instead. I had a coloring book and some pencils that I’d left here in Ventura a few weeks ago, and I was enjoying some peaceful coloring time when… the tip of my colored pencil broke off. And then the next one. And the next one. And I couldn’t find a single pencil sharpener. Because they were all up at the Morro Bay house. 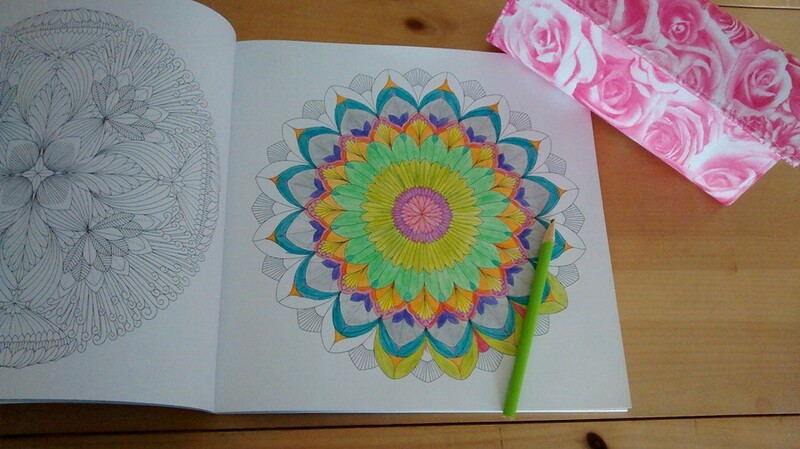 Categories: Handmade | Tags: coloring book, Ventura | Permalink. 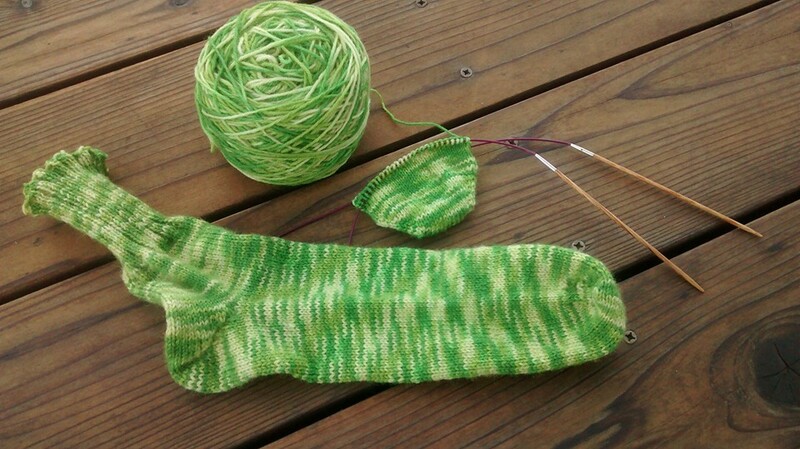 I started the second sock last night, and now my three-day weekend begins. Naturally, I had to get him into my office right away and find out the nature of his emergency. I didn’t know what to expect, but once he started talking, I really had to start thinking about all the different ways to do my job properly. Because what he was telling me was that, last night, someone took advantage of him in a sexually inappropriate manner, and it wasn’t another inmate. 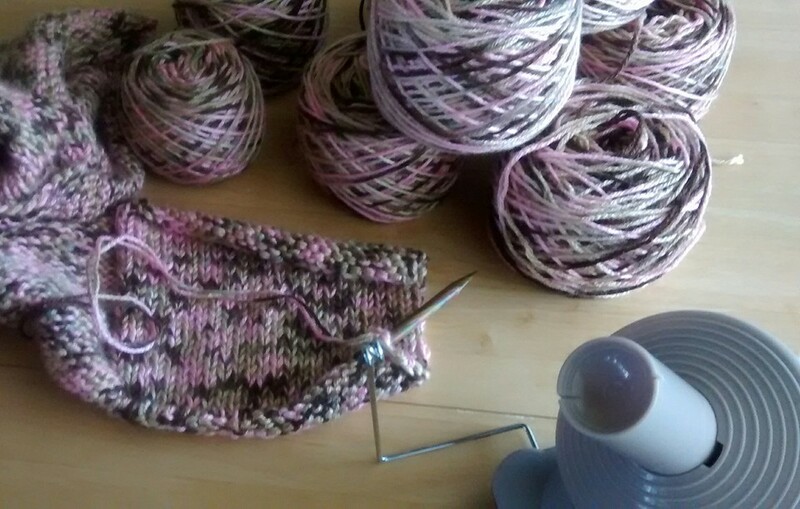 Just a few more rows, and then I’ll be able to bind off.